Cyclist deaths are awful in any situation, but deaths of child cyclists are heart-breaking. For youngsters, the bike represents an opportunity to start exploring the world under their own steam. In this sedentary age, it’s a chance to keep them moving, active and healthy. But the death of 12-year-old cyclist Jeffrey Townley on September 9 had an extra element to it because, just two months earlier, a fellow pupil from Jeffrey’s school – the National Academy in Hucknall, Nottinghamshire – had also been killed. On July 1, Harrison Carlin, 15, also died following a collision while cycling. Looking at the data, Jeffrey and Harrison are just the tip of the iceberg. In total seven cyclists have died in Nottinghamshire (population 1,086,500) in the first nine months of 2012 – compared with 10 in Greater London (population 8,174,000). Of those Nottinghamshire cyclists, one was 34-year-old Phil Dawn who died at a level crossing; however, the other six fatalities all happened in collisions on county roads, including two involving experienced cyclists on the A1. 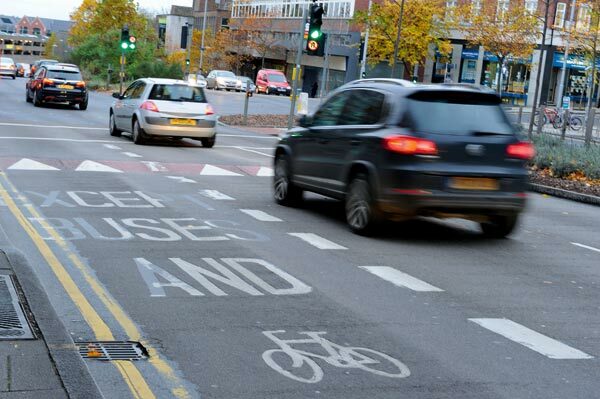 Of course this could be just a freak year – in both 2010 and 2011 there were two cyclist deaths in Nottinghamshire. However, other statistics suggest there has been a gradual trend towards Nottinghamshire’s roads getting more dangerous: 2011 saw 87 serious cycling injuries in Nottinghamshire, compared with 63 in 2010, a rise of 38 per cent. Even slight injuries have risen by five per cent over the same period. Gary Smerdon-White is chairman of the Greater Nottingham Partnership and a member of the Greater Nottingham Cycle Development group – a gathering that includes representatives from Sustrans, CTC, Nottinghamshire Police, the Highways Agency, local cycle campaign group Pedals, local cycle training company Ridewise, and road safety officials from Nottingham City Council and Nottinghamshire County Council. He explained the general set-up of cycling provision in Nottinghamshire. “One has to look at this from two angles,” Smerdon-White said. “One is the county and the other is the city – they are two distinct local authorities. “In more recent years the investment in the city’s urban network has been very, very good. Nottingham was voted the second least car dependent city outside of London [2012 survey by Campaign for Better Transport]. There are quite good off-road networks, particularly to the west of the city. And the city council has just agreed to 20mph residential zones. “But it is a very tight city boundary and once you get out of the city boundary it is a case of the County Council and the boroughs controlling things, and that probably is more changeable in terms of quality of provisions. Bikeability training is another area where the two local authorities differ. “Bikeability is quite big in County Council schools,” Smerdon-White explained. “In fact, a lot more kids get Bikeability training in the county than in the city. But in terms of accidents there are a number of fast-moving trunk roads in the county – they’re not motorways or Highways Agency roads necessarily but they are fast moving – and a few of the accidents towards the north of the county have been on these roads. Andrew Martin and Hugh McClintock at Nottingham-based cycle campaign group Pedals offer further insight. Like Smerdon-White, Martin and McClintock both recognised that Nottingham City Council’s approach to cycling provision was largely positive – it should also be pointed out there have been no cyclist deaths in Nottingham city this year. But they had a strident message about Nottinghamshire County Council. “Since the change from Labour to Tory a couple of years ago Nottinghamshire County Council has made a very conscious change in its approach to cycling issues. It is not as supportive of cycling as it was,” Martin said. 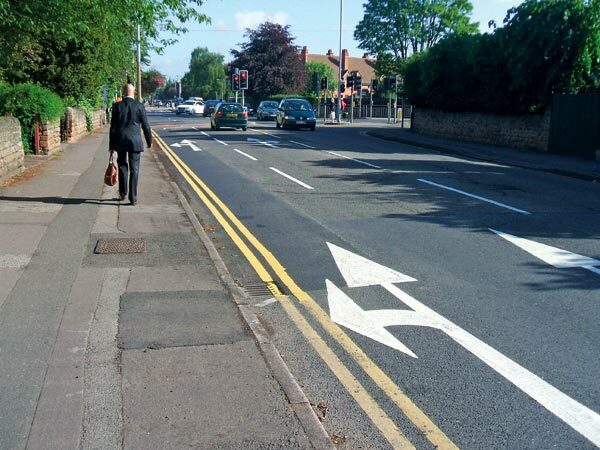 “Hugh will tell you, he used to have two well-used cycle lanes near his house in West Bridgford [pictured below]. That was put in at a cost of a few thousand pounds some years ago. But when the County Council changed to a Tory administration they spent £10,000 last year removing them. “They were getting in the way of drivers,” McClintock told us. “That was the only thing that mattered. Never mind that they were delivering distinct safety benefits for cyclists. So what is the County Council’s attitude to the seven cyclist fatalities so far in 2012? When CW approached her, Nottinghamshire County Council’s road safety manager Pam Shaw issued some written notes. Shaw is well-known in the area for publicly supporting Bradley Wiggins’s plea earlier in the year that cyclists be compelled to wear helmets (in truth, after he’d thought about it, even Wiggins didn’t support it). The statement she sent continued in very much the same vein. Although Shaw then acknowledged casualty figures and highlighted that Bikeability on-road cycle training in County Council-controlled schools had been well-received – rising from around 800 pupils taking it in 2006/7 to around 2,500 in 2011/12 – her statement returned to the focus on protective kit. “The County Council alone and as part of the Nottinghamshire Road Safety Partnership have also undertaken a number of campaigns for cyclists over the last few years,” she said. With the deaths of the two boys in Hucknall still being investigated, Shaw said she could not comment on those cases (although it should be noted that the National Academy which Jeffrey and Harrison attended does already teach road safety awareness). However, the inference from her comments was that the onus from Nottinghamshire County Council was for cyclists to take responsibility for themselves. It seems an easy option to vilify a County Council, who are apparently taking away cycling provisions and who seem to think that a bit of hi-viz clothing and a helmet will stop cyclists coming to harm, all while cyclists were being killed at an extraordinary rate in their area of administration. But road traffic collisions are an exceedingly complex subject. Dr Phil Miller is the research manager at Nottingham University Hospital’s emergency department. He’s a member of Pedals, and a supporter of safety charity Road Peace. He conducted a significant study of cycling accidents in the Nottinghamshire area, collecting data from more than 500 people over a two-year period. He tried to put Nottinghamshire’s 2012 data in context. consequence there just seems to be an increase in the baseline of all injury accidents. However, fatalities seem to be going down nationally, or at least they haven’t seemed to drastically increase. However, while Dr Miller was exercising caution in translating the data, others in Nottinghamshire were already making up their minds. In late September Ian Morrison, a Hucknall Labour member of Ashfield District Council, decided to take a campaign to parliament, trying to improve road safety among young cyclists in response to the events in his area. On Monday November 5 Morrison was part of a delegation to Westminster led by Nottingham North MP Graham Allen which called on the government to introduce new laws requiring all cyclists to wear helmets and all bikes to be fitted with lights. They also asked for all new bike sales to include helmets, reflective clothing and lights, and to ban BMX bikes on public roads. While Allen was quoted as saying: “There must be greater awareness among motorists that there are other modes on the roads and they must drive appropriately,” in terms of practical steps, again, the onus was placed on the cyclist. Nottinghamshire Police also got in on the act. A police ‘Think Bike’ campaign press release launched on September 21, ran with the headline: “Crash victim’s family urge cyclists to kit up.” The headline was later amended, but the central message remained the same: local cyclists should attend cycle safety hubs in Nottingham city, where they would receive yet more high-visibility backpacks. Interestingly, the crash victim referenced in the original headline was PC Diederik Coetzee, a Nottinghamshire police officer who was struck by a car last November while cycling towards Blidworth, near Mansfield. Now 10 months on, PC Coetzee still needs intensive rehabilitation treatment. PC Coetzee’s situation – being struck by a vehicle where it was the driver who was at fault – isn’t a one-off piece of anecdotal evidence. A 2009 report from the independent Transport Research Laboratory showed that drivers were entirely at fault in between 64 and 70 per cent of accidents involving adult cyclists. So let’s look at the facts we do know about recent fatal cycling accidents in Nottinghamshire. At least two of the dead were experienced road cyclists. The two boys in Hucknall both went to a school that actively taught road safety. 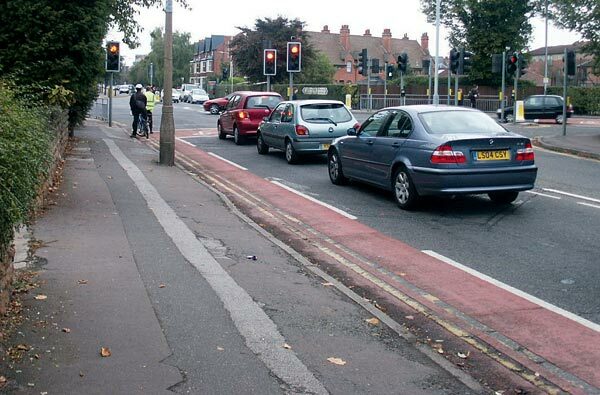 Nottinghamshire County Council prides itself on having a decent Bikeability take-up. And one seriously injured rider who is being used to promote yet more cyclist-led safety awareness is a local police officer who was already practising high-visibility and was wearing a helmet. Has no decision-maker in Nottinghamshire outside the city considered that the factors contributing to cyclist deaths and serious injuries aren’t entirely in cyclists’ hands? In four weeks of researching these issues, not one person in a position of authority in the county talked to us about targeting motorists, or introducing traffic calming or speed reduction measures in any of the areas where these deaths are happening. Not even on roads that the local media calls the “notorious”, such as the B6011 in Hucknall where Harrison Carlin died. However, as we have seen, many of these same officials seem to think that if only cyclists had better training, or more high-viz kit, or if only they all wore helmets, then that great hulking car, van or lorry bearing down on them wouldn’t have caused any harm. It would be remiss to knock cycle safety equipment – of course it helps – but in collisions that become matters of life and death, a bit of reflective material or even a helmet is far from being a panacea. Meanwhile, as serious injuries and fatalities among Nottinghamshire’s cyclists go up, the County Council is, apparently, actively bringing its cycling provisions down. So Cycling Weekly went back to Nottinghamshire County Council’s road safety department one last time with some more specific questions. Does the County Council target motorists? What, if any changes, does it consider on roads where cycling fatalities occur? And what about those removed cycle lanes? Again, rather than speak directly, we were provided with a statement, this time from road safety projects officer Zena Oliver. “Throughout the year we have a number of road safety campaigns aimed at different road user groups. All campaigns and education resources encourage road users to take responsibility for their own actions, while respecting other road users. “We do not have responsibility for trunk roads, so I am unable to comment on any of your queries relating to them. All fatalities are fully investigated in conjunction with the police and action taken that is deemed appropriate. A detailed investigation was carried out following the fatal collision near Hucknall, involving the police, crash site investigators, local councillors and the public. The speed limits on the B6011 are being reviewed and one proposal is that the existing 30mph limit be extended, and on the approaches to the village the existing 60mph limit be reduced to 50mph. No. 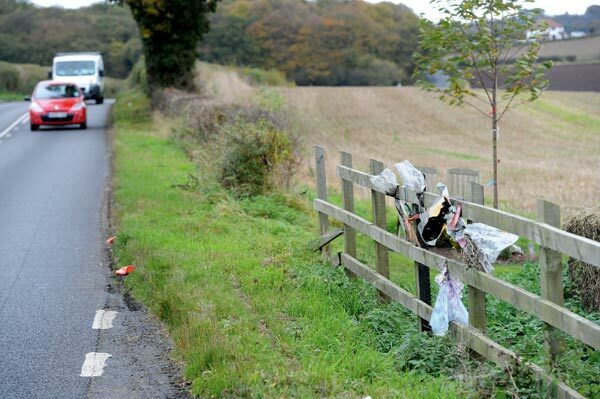 Seven cyclists have died on Nottinghamshire’s roads in the first nine months of 2012 and not much, it seems, is changing. January 13. Hurt in a crash with a blue Ford Focus at the junction of Colwick Loop Road and Mile End Road, Colwick, Notts. Died of his injuries in hospital on January 24. March 18. Died after a crash with a lorry on the A1 southbound carriageway near Blyth, Notts, while taking part in a time trial. April 6. Killed in a crash with a lorry on the A1 northbound carriageway near Blyth, Notts. May 2. Struck by a train as he crossed Kingsmill Barrow level crossing, Mansfield, Notts. May 23. Killed in a crash with a lorry in Coventry Lane, Bramcote, Notts. July 1. Killed in a crash with a Mitsubishi Lancer car on the B6011 Forest Lane, Hucknall, Notts. September 6. Hurt in a crash with a Peugeot van on Linby Road, Hucknall, Notts. Died of his injuries in hospital on September 9. Single fatalities in Buckinghamshire, Cheshire, Clwyd, East Riding of Yorkshire, Flintshire, Gwent, Hampshire, Hertfordshire, Lancashire, Leicestershire, Perthshire, Renfrewshire, Shropshire, Staffordshire, West Lothian, West Yorkshire, Wiltshire. The original version of this article appeared in the November 8 2012 issue of Cycling Weekly magazine.